"I'm sharing this because I'm no longer an employee there... a lot of the really great reviews you read are fake." If there's one thing we know about the beauty industry, it's that it's competitive. With so many brands all clamoring for consumer attention, shoppers rely more than ever on their fellow users to rate and review products. And it seems some brands may be attempting to game the system. On Monday, a Redditor took to the "Skincare Additiction" board to post a claim alleging skin-care company Sunday Riley has its employees post fake Sephora reviews. "This is a throwaway account because Sunday Riley is majorly vindictive," writes the Redditor. "I'm sharing this because I'm no longer an employee there and they are one of the most awful places to work, but especially for the people who shop us [sic] at Sephora, because a lot of the really great reviews you read are fake." The post goes on to claim that as a Sunday Riley employee, the user was "forced to write fake reviews for our products on an ongoing basis, which came direct from Sunday Riley herself and her Head of Sales. I saved one of those emails to share here." What appears to give the claims some credibility is the documentation: The Redditor uploaded an email with the subject line "Homework Time - Sephora.com Reviews," which appears to be from someone with a Sunday Riley company email address detailing how to write fake reviews using a VPN ("to hide your IP address"), tailoring them to the marketing messaging surrounding a specific product launch. Steps include creating separate email accounts, leaving reviews for a few other products by other brands first "to build a profile history," choosing different details - like age - for each identity, and making sure that the Sunday Riley review be "glowing" without mentioning other brands (which would get reviews flagged and pulled, "a waste of time"). "It helps to make yourself seem relatable - like you know how hard acne is and you've tried everything, and this one actually works or mention things like yes, it's a little more expensive, but works incredible compared to the cheaper masks out there [sic]" the email says. "If you need any help with things to come up with to say, feel to ask myself, Sunday or Addison [sic]." The email also notes that employees should counter any negative reviews they notice; "As reviews come in, read them too," the email notes. "If you notice someone saying things like I didn't like 'x' about it, write a review that says the opposite." "The power of reviews is mighty, people look to what others are saying to persuade them and answer potential questions they have," the email says. The Reddit user also uploaded a number of Glassdoor reviews for Sunday Riley, alluding that the brand may also ask employees to post fake reviews there, too. "Also, check out the glassdoor reviews for Sunday Riley, the ones that we weren't asked to write, anyway, which are ACCURATE AF, [sic]" the user notes. This isn't the brand's first taste of controversy: Back in December of 2016, it came under scrutiny when it faced a class-action lawsuit over its anti-aging cream, Bionic. 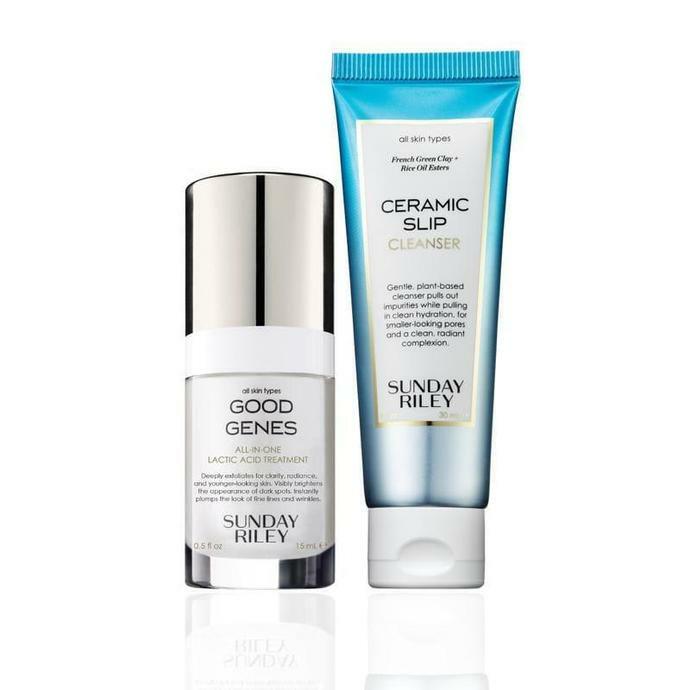 The suit alleged that Sunday Riley had made misleading claims about the results of the product, and that the plaintiffs had been "duped into paying an exorbitant price for the product, as if it were an effective drug." In March of 2017, the suit was dismissed, although the Bionic cream in question has since been discontinued. Sunday Riley did not immediately respond to Fashionista's request for comment.